Getting a reluctant child to listen to his parent can be a real trial for parents, and especially fathers. Dads often tend to see listening behaviors in terms of respect; "If my child won't listen and pay attention, but rather seems distracted all the time, it is a sign of disrespect." Truth be told, it is not always about respect. It is also a stage a child just goes through as they try to sort out their world and as parental influence begins to wane through their maturing years. So it may feel like disrespect, but it is probably more about their social development than about anything else. Even with that perspective, it can be unnerving when the television, the headphones, or the video games become more important than mom and dad's important communications. Fathers often want to talk and be listened to when we think the time is right, but it can be helpful to make sure that you are choosing a time when the child is ready to listen. Right in the middle of a game or another conversation might not be as effective a time as a little bit later. Try something like, "I can see you are busy right now; will there be a break in a few minutes when we can talk?" 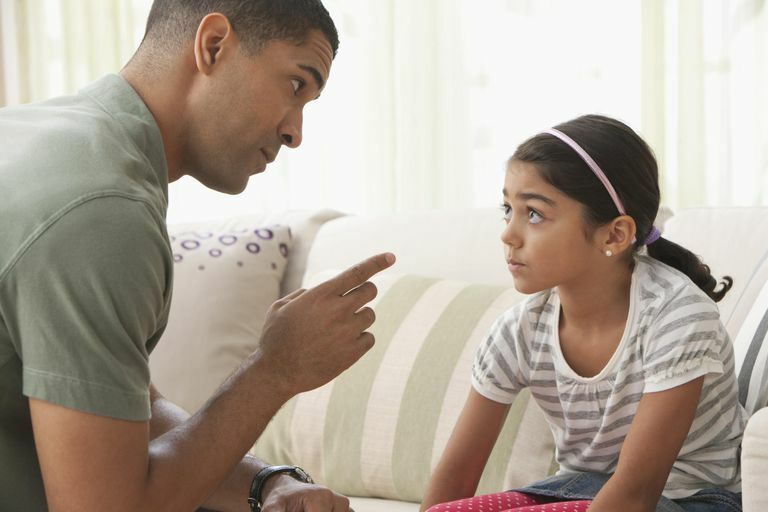 One thing successful fathers can do when the kids are distracted during a conversation is asking them to repeat what we said so that we know that the message was received. Repeating back is part of a technique called active listening where a person's message is important enough to be reinforced by repetition. So when you do have your communication time, ask them to tell you what they heard. Telling is back to you will also make the message easier for the child to remember. Coming into a room to talk with a child can be enhanced if you put an arm around them or gently squeeze their shoulder. Children tend to learn in different ways, and when we use both verbal messages and appropriate touch, we can get their attention a little better. Physical touch that is not as gentle can be a real negative when trying to communicate, so make sure that your touching strategy is gentle, thought out, and communicates love and respect. A little creative thought about reinforcing the child when they do it right can be powerful. If you need a child to come to dinner and stop watching television, you might let him have another 15 minutes with the TV after dinner and before bedtime if they come right away and without complaining. Offering an easy reward or incentive can help the listening behavior improve. Some issues are more important than others. For example, a family rule like homework is done before video games are allowed is a pretty big deal. When you need to communicate immediately about that sort of thing, you need to get their attention right now. Leaving a knife with peanut butter on it on the kitchen counter, on the other hand, might be able to wait a little while. Giving your kids just a little slack on things like that can help them be more responsive when it matters more. Modeling good family communications patterns and active listening can do several things to encourage your child to listen. First, you show them respect when you make time to listen to their concerns, and it is easier for them to show respect back when they feel respected. Second, children learn far more from what they see than from what they hear, and they will model your listening behaviors as they learn more about interpersonal communications. Take the time to talk when they are ready and they will be more likely to respond to you when you need them to listen. Family communication can be one of the toughest issues parents have to deal with, and it can be made much easier when we help our children learn to listen and when we model our own good communication skills in our interactions with them.